For as long as stories have been told, we have had the protagonist. In many situations and in the most fabled of tales, the protagonist is known to us, the audience, as “the good guy” – but this is by no means a requirement. In the most technical of terms, all this person needs to be is “the leading character or one of the major characters in a drama, movie, novel, or other fictional text”. That’s it. They have no literary obligations to be kind, moral, just, or “the good guy”. And, in my own personal opinion, it is the stories that revolve around the ones who aren’t quite as morally sound as the ones in fairytales, that happen to be the most interesting. The rise of streaming services has done a lot to disrupt the formerly strict setup of the entertainment industry and studio system. Gone are the days of being obsessed with ticket sales on opening weekends, massive P&A budgets dedicated to a single film, and the reliance on the typical formulaic blockbuster setup that has been the trend for.. well, forever. The goal now is to keep your eyes on their prize. That is not to say that things have somehow gotten easier. The stakes are higher than ever for HBO, Hulu, Netflix, and others to experiment, push the limits on traditional storytelling, and keep you far away from the cancellation button in your account settings. 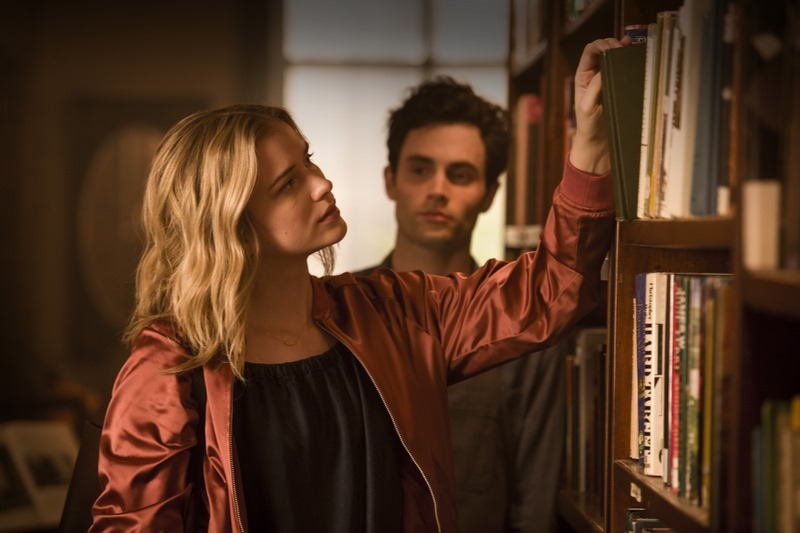 The latest in Netflix’s planned journey of ambitious programming is their show called You, which is already creating quite the buzz with thought pieces and explanations coming from every direction. It is very well done, with a star-studded cast, an 8/10 on IMDB, and a 91% on Rotten Tomatoes (and this somehow all started as a Lifetime show..). Now, I’ll start with the most basic of facts: this show is creepy. But a different kind of creepy from the normal modern day Hitchcockian-thriller that we are seeing more and more of these days. The twist is: the creep is the protagonist of the show. 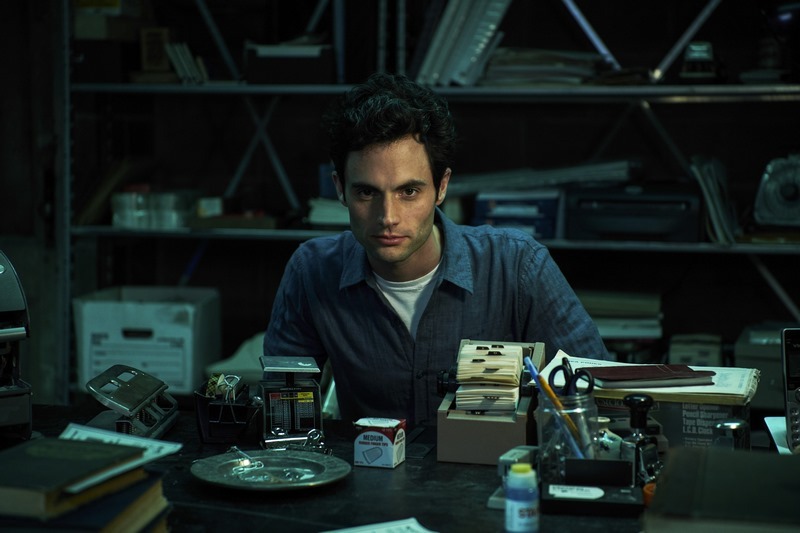 It’s like if Psycho was told completely from the perspective of Norman Bates and we heard almost every messed up thought of his through voice-over; and the plot isn’t too far off either considering Joe Goldberg, You’s star played by Gossip Girl’s Penn Badgley, is also a socially awkward and murderous stalker. The writing in this show is good – a little too good. Like I said, we hear the inner thoughts of Joe throughout the entire show and even have – and it pains me to say this – sympathy for the guy in the beginning. 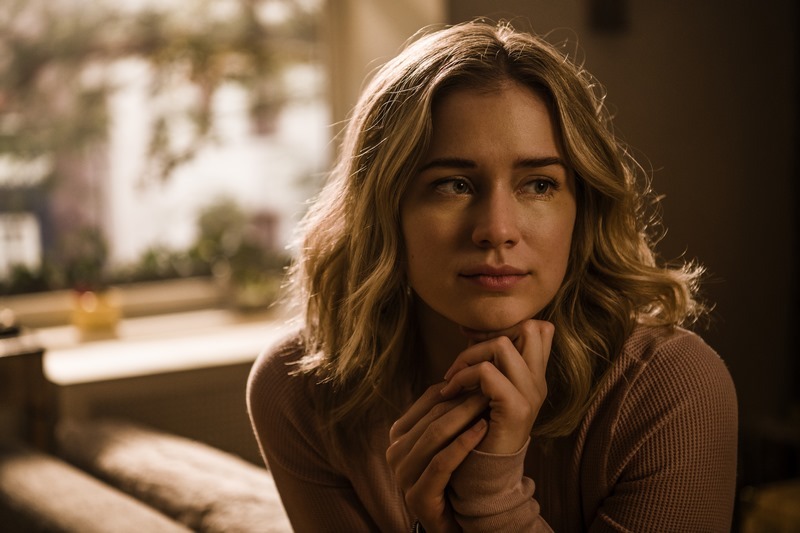 He is very normal at first, kicking off the plot by noticing another main character, Guinevere Beck (played by Elizabeth Lail), in a book store where he is the manager, and falling in love at first sight. Cute, right? No! Not cute! Soon, we begin spiraling along with our protagonist into a deep, dark hole of stalking, breaking & entering, and murder. The whole time, I found myself rooting for Joe to just stop being creepy and be a normal boyfriend and live happily ever after.. like a normal person! But then I asked myself, “everyone else that’s watching this also thinks it’s messed up, right?”. Are there people who think that his behavior is justified? Because we can hear Joe’s own rationale for his actions and it technically makes sense in the most technical of ways, would someone think that it is okay? You can hope for people to have morals but at the end of the day, some don’t. You can hope that people know the difference between right and wrong, but some don’t. Does the entertainment industry have an obligation to portray the good guy as always winning? Does the “bad guy” always need to be punished? Because in You so far, the bad guy wins, and he wins a lot. This brings me back to the days of the Hollywood Production Code, which was a set of rules in play from the 1930s to the 1960s dictating what could and could not be in films. Something that was hounded on in these rules was making sure that the audience is sure that evil is wrong and good is right. As a result, “the bad guys” could not win in a film, ever. With so much new content coming out and so many innovative storytelling tactics riling up the masses, maybe they had a point? Didn’t a bunch of people commit murders similar to the ones that were portrayed in the show Dexter? Sit on the question of what kind of responsibility Hollywood holds in emboldening those that wish to make their art into reality.. All in all, this show is really great and does a fantastic job at playing with irony in its purest form. There is one scene where Beck’s best friend, Peach (who is also pretty obsessed with her), is secretly looking at Beck in the bathtub, while Joe is secretly watching Peach, and we are (secretly?) watching Joe, which was a great and subtle point of humor in such a dark storyline. The events are predictable, but predictable in a way that highlights the realistic traits of these characters, especially Joe. He’s just a dumb, creepy guy who makes some really bad and unnecessary choices, but man, he sure is charming.